Designed specifically to enhance your presentation. Features padded covers with clear cover, turned edge construction and lined with beautiful moiré fabric. Has four matching leather ribbons carefully stitched to hold the award or diploma in place. Can be configured to hold two certificates for additional cost. 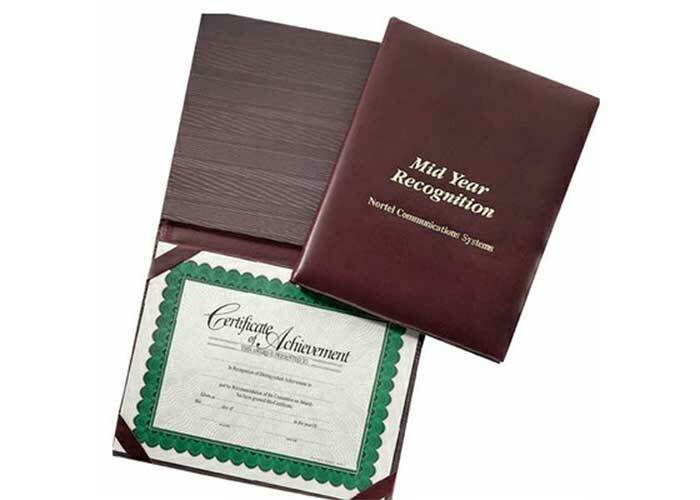 Holds 8-1/2 x 11" Certificate.